The occupation authorities continues their series of assaults against the city of Jerusalem (people and sanctities) in the month of October which was described as the most violent in years and witnessed the launch of the so-called “popular rise of Jerusalem Intifada”. Wadi Hilweh Information Center monitored the Israeli violations in the city of Jerusalem in terms of killings with cold blood on mere suspicion, punishing and demolishing Martyrs’ houses, dozens of arrest and closing and raiding Al-Aqsa Mosque. The center added that events took place rapidly in October resulting in 20 Palestinian Martyrs in city of Jerusalem and more than 480 arrests. Al-Aqsa Mosque was also closed for Muslim worshippers and was raided by hundreds of Israeli forces and extremist settlers in addition to preventing prayers at specific times during the Jewish holidays including Fridays. During the month of October, 20 Palestinians passed away mostly by the occupation forces’ bullets; one was killed by the light rail’s guards and two passed away due to checkpoints and cement blocks that isolated the Jerusalemite neighborhoods from one another. It is noteworthy that among the Martyrs were four children and one woman. The center explained in its report that the Israeli argument for shooting young men and children was always ready by claiming that he/she attempted to stab a settler or one of the Israeli forces. In most cases, the evidence to confirm the occupation’s claims were not revealed despite the fact that most areas where incidents occurred have surveillance cameras in the streets but the Israeli authorities insisted on hiding the truth which confirms that was happened in Jerusalem was “cold-blooded murders”. The center added that five Palestinian Martyrs from the West Bank passed away in Jerusalem. They are: Mohannad Halabi (passed away after carrying out a stabbing and shooting attack in the Old City of Jerusalem), Basel Bassam Sider, Mohammad Nathmi Shamasneh, Mahmoud Khaled Ghneimat and Mu’taz Qasem (all accused of attempting to carry out stabbing attacks in the area of Damascus Gate, West Jerusalem and north of Jerusalem). The rest of the Martyrs are Fadi Alloun, Thaer Abu Ghazaleh, Wisam Faraj, Ahmad Salah, Minor Ishaq Badran, Mohammad Saeed Mohammad Ali, Mustafa Khatib, minor Hasan Manasra, Ala’ Abu Jamal, Baha’ Mohammad Alayan, Ahmad Fathi Abu Sha’ban, minor Mu’taz Aweisat, Huda Darwish, Nadim Shkeirat and Ahmad Qneibi; they passed away under various circumstances. Martyr Alloun was shot in the area of Al-Musrara. Recordings showed that he was trying to run away from several settlers who wanted to assault him. Within minutes, the police arrived and shot him from close distance with even attempting to arrest him; he was then kicked by the settlers and police and was also verbally insulted. Martyrs Faraj and Salah passed away during violent clashes in Shu’fat refugee camp. Martyr Darwish from the village of Esawyeh and Martyr Shkeirat from the village of Jabal Al-Mukabber were victims of the collective punishment policy and cement blocks. They passed away after obstructing their arrival to the hospital due to checkpoints established on the entrances of Jerusalemite neighborhoods. Martyrs Baha’ Alayan and Ala’ Abu Jamal passed away after carrying out a sun-over, stabbing and shooting attack. Alayan carried out a dual attack in an Israeli bus in the village of Jabal Al-Mukabber while Abu Jamal carried out a run-over and stabbing attack in West Jerusalem. In all cases that led to the Martyrdom of young men, eyewitnesses confirmed that the occupation forces murdered them without any attempt to arrest them or injure them with a non-fatal injury. The occupation authorities are still detaining 11 Martyrs’ bodies who passed away in Jerusalem including the bodies of minors based up a suggestion made by the Internal Security Minister, Gilad Ardan, not to release the bodies of Palestinian Martyrs who passed away while carrying or attempting to carry out attacks in order to “limit attacks against Israelis in the city of Jerusalem in particular as well as other areas” as he says. He also said that detaining the bodies will deteriorate others from carrying out similar attacks especially that releasing the bodies and carrying out special funerals and burying them in well-known cemeteries that will become a “shrine” afterwards only promotes the “attacking” ideas for other- according the occupation authorities’ claims. Killing young men and children with cold blood wasn’t enough for the occupation authorities. After revealing the identity of a Martyr, the armed occupation forces raid the Martyrs house and assault and terrify the residents as well as the neighbors. They carry out a searching operation and usually damage the furniture and contents of the house. Afterwards, they arrest the Martyrs’ parents, brothers and sisters despite the tough psychological situation they are already in after finding out that their son has been murdered. They are exposed to harsh interrogation in an attempt to get them to confess that they knew about their son’s intent to carry out an attack; they are also threatened and verbally abused and terrifies through several methods. The occupation authorities also raided the houses of all Jerusalemite Martyrs (accused of carrying out attacks) and took pictures and measurements and threatened to demolish them and displace the residents. They handed the family of Martyr Ala’ Abu Jamal an order to demolish and seize their house in the village of Jabal Al-Mukabber in addition to handing his brother an administrative demolition order and threatening his sister to demolish her house under the pretext of being owned by the Martyr. Despite the fact the families of Martyr Mustafa Khatib from the village of Jabal Al-Mukabber and Martyr Fadi Alloun from the village of Esawyeh don’t own the apartments where they live in, the occupation authorities still raided them and took pictures and measurements. The occupation authorities carried out a series of demolitions, closures and used explosives to demolish houses in Jerusalem. Explosives were used to demolish the houses of Ghassan Abu Jamal and his brother Mouawya which also caused damages to the neighboring residential apartments and displaced 8 individuals from both houses. Also, explosives were used to demolish the house of Martyr Mohammad Ja’abees and caused damages to the house of his brother Shaker underneath Mohammad’s house. The municipality ordered to close the house and prevent the owners from using it resulting in the displacement of 15 individuals from both houses; Shaker lived in the house with his wife and four children. A living room in the house of Martyr Mutaz Hijazi was also closed with concrete in the neighborhood of Al-Thori in Silwan. The occupation authorities demolished a farm in the village of Jabal Al-Mukabber and confiscated the livestock under the pretext of building without a permit. Al-Rajabi family self-demolished their house in the neighborhood of Beit Hanina where 8 individuals reside; it has been established for 15 years. The month of October witnessed the highest number of arrests in years as the number of arrests reached 480 Palestinians including 150 minors (6 girls, 12 under the age of 12 “age of responsibility” and 28 women). The arrests occurred in most Jerusalemite neighborhoods and villages and were as follows: Silwan (105), Esawyeh (76), Old City of Jerusalem (62), Jabal Al-Mukabber (45), Al-Tur (39), Shu’fat refugee camp (24), Wadi Al-Joz (22), Beit Hanina (20), Al-Sowaneh (18), Shu’fat (16), Sur Baher (12), Kufor Aqab (10), Sheikh Jarrah (3), Al-Aqsa courtyards and gates (10) in addition to 5 students while they were heading to school or after leaving school. The occupation transferred 24 Jerusalemites to administrative arrest including three children. The center added that the Jerusalemite young men who were transferred to administrative arrest were from the villages of Esawyeh, Sur Baher, Jabal Al-Mukabber as well as Silwan and the Old City of Jerusalem; note that freed prisoners were among them. The center pointed out that the “administrative arrest” law was implemented during the British Mandate in the Palestinian lands and the occupation authorities are currently implementing this law against Palestinians following the orders of the Minister of Occupation Army when a Palestinian is arrested and the evidence against him aren’t enough to submit an indictment against him. Among the arrests were people who were critically injured and were transferred to the hospital while handcuffed and under arrest; most of them were exposed to harsh interrogation while receiving treatment such as the child Ahmad Manasra who was run-over and assaulted under the pretext of carrying out a dual stabbing attack with his cousin in the settlement of Pisgat Zi’ev north of Jerusalem; note that his cousin passed away while he was critically injured and was verbally abused while bleeding and did not receive treatment from the medical staff who were present in the area. The 16-year old Marah Bakir was shot in her hand while wearing her school uniform. She was heading home after leaving school and got shot meters away from the school; she underwent several surgeries. The occupation police claimed that Isra’ Ja’abees set off an explosive device in her car meters away from Al-Z’ayem checkpoint but one witnesses said that she was driving her car and an electric fault occurred in the vehicle before reaching Al-Z’ayem checkpoint which led to the injury of the woman with a high state of fear and the air bag inside the steering wheel exploded and white spray came out. Bilal Abu Ghanem was shot but the occupation forces after carrying out a dual attack in an Israeli bus in the village of Jabal Al-Mukabber along with Martyr Baha’ Alayan. The 18-year old Shurouq Dwayyat was shot by a settler in the Old City of Jerusalem under the pretext of attempting to stab a settler. Tarek Dweik was assaulted by settlers in his work place in “Ra’nana” north of Tel Aviv. He was hit with iron bars on his head and face and when the police arrived, they also assaulted him with the butts of their guns injuring him with brain hemorrhage and fractures in the facial bones (jaw and cavity of the eye). Khaled Al-Basti was also assaulted by settlers and occupation forces in an attempt to murder him under the pretext of attempting to carry out a stabbing attack; he lost consciousness. A young man was also shot at Al-Z’ayem checkpoint under the pretext of attempting to run-over soldiers but the occupation retracted his story the next day. The occupation authorities and Israeli settlers continued their assaults on Al-Aqsa Mosque and 1164 extremists broke into the courtyards of Al-Aqsa Mosque during the month of October. Al-Aqsa Mosque was under siege between 27/9/2015 and 6/10/2015 and thousands of Muslims were prevented from entering and praying inside Al-Aqsa and all five prayers were held at Al-Aqsa gates. The gates of the Old City of Jerusalem witnessed a state of tension and anger because of preventing young men from entering the mosque. In a dangerous escalation and for the first time, the occupation forces raided Al-Qibali Mosque after the Night Prayer on 3/10/2015 and evacuated all worshippers and Marabouts. The Friday Noon Prayer was prevented three consecutive times in October (2nd, 9th and 16th). The occupation forces isolated last month 9 citizens from Al-Aqsa Mosque and some were banned from entering the Old City of Jerusalem including 4 women. Within the police of collective punishment against Jerusalemites, the occupation authorities surrounded the Jerusalemites neighborhoods and villages in the wake of accusing Jerusalemites of supporting attacks. They closed the entrances with cement blocks and established checkpoints in addition to placing iron barriers in the streets and roads of the city as well as the Old City resulting in the isolation of the neighborhoods from one another; a decision made by Israeli government Cabinet to closure the Arabian neighborhoods in response to the “attacks” in the city. The neighborhoods and villages in Jerusalem especially in Esawyeh, Al-Tur, Al-Sowaneh, Sur Baher, Jabal Al-Mukabber and Silwan suffered from those closures and forced the residents to look for alternative roads to avoid traffic jams and endangering themselves due to the Israeli deployment in the streets of Jerusalem. The checkpoints and cement blocks was also a factor in delaying the civil defense, fire trucks and medical staff from reaching emergency cases in an appropriate time. Locals also complained about being subject to provocative search operations after being stopped at checkpoints without excluding women and children. Young men are forced to lift their clothes and take their shoes off at times while women’s purses were precisely searched. Within the collective punishment police against Jerusalem, neighborhoods and villages witnessed recurring raids and residents were directly targeted with live bullets and many were injured. Perhaps the village of Esawyeh was the most vulnerable to these incursions and provocations. The 37-year old Louai Obeid lost his eye when he was targeted by the occupation forces while standing on his balcony on the third floor. The 8-year old Rani Tamimi was also targeted with a sound grenade at the entrance of the village and suffered burns in his face and shoulder. Also, the child Abed Abu Rayyaleh was targeted with a rubber bullet while standing outside his house. In the neighborhood of Al-Thori, Mohammad Burqan lost his eye during clashes in the area and despite his critical injury, providing his with first aid and transferring him to the hospital were delayed; he was treated afterwards while under arrest and was then transferred to interrogation. Settlers continued their assaults against Jerusalemites and their property during the month of October. They organized marched and racist sit-ins in the streets of West Jerusalem and near East Jerusalem as well as the entrances of some Jerusalemite neighborhoods especially Silwan, Sur Baher and Jabal Al-Mukabber; they chanted racist slogans against Arabs and raised Israeli flags. Settlers also assaulted Tayseer Abu Rammouz and attempted to stab him with a knife while working in Jerusalem, and also attempted to stab Mohammad Hussein Jawabra near his house in the village of Beit Safafa and another young man in West Jerusalem. Settlers also tried to carry out several attacks in the village of Beit Safafa last month and pushed one student off his bike while he was heading to school. Also, settlers threatened and verbally abused an employee of the medical center “Clalit” while walking near “Giv’at Hamatos” settlement. One settler was hid in between the rocks across from Beit Safafa Elementary school and was revealed by surveillance cameras; settlers also attacked locals’ vehicles with stones. Settlers also attempted to assault Subhi Sha’er- Israeli bus driver- while working in West Jerusalem, and three female settlers assaulted a Jerusalemite young men in West Jerusalem with pepper gas. 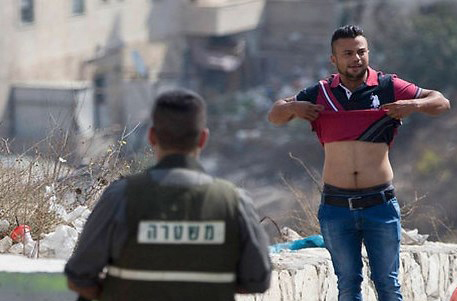 They also assaulted a taxi driver in West Jerusalem and another young Jerusalemite man from the neighborhood of Ras Al-Amoud in Silwan on his back and hand; they also assaulted an elderly Jerusalemite man in the area of Damascus Gate. Settlers also attempted to shoot a woman while passing near the settlement in the village of Jabal Al-Mukabber while heading home; she managed to flee the area. In another type of assault, settlers set the vehicle of Nayef Abu Ter in the village of Um Tuba on fire and wrote racist slogans near his house. The settlement organization, Ateerat Cohanim, seized last month two residential apartments in the neighborhood of Batn Al-Hawa in Silwan under heavy protect from the occupation police who evacuated the residents by force; 9 individuals were displaced. Inside “Hosh” Abu Nab, only the house of Jawad Abu Nab was kept and the residents are suffering from settlers’ harassment when entering and leaving their house; they are also sometimes prevented from entering their house and recently received a notice to seize his house. In a violation to the rights of patients and doctors, the occupation authorities targeted medical crews and institutions. In a dangerous escalation, the forces stormed into Al-Maqased hospital on two consecutive days in October looking for the file of one minor patient who was injured during clashes and received treatment at Al-Maqased hospital according to the occupation’s claims. Following an order from the occupation’s court, hospital’s files were searched and two doctors were interrogated. On the third day, the forces raided the courtyard of the hospital and heavily fired tear-gas canisters, sound grenades and rubber bullets and injured several patients and employees. The forces also raided Al-Maqased and Augusta Victoria hospitals in the village of Al-Tur at the beginning of last month and searched some departments. Medical crews were also assaulted and the forces obstructed their work while providing treatment to the injured. A Palestinian Red Crescent ambulance was detained and guns were pointed at the staff and the forces seized the ambulance’s keys in the neighborhood of Shu’fat north of Jerusalem. In another incident, medical crews were assaulted and beat whole providing treatment to an injured person in the area of Damascus Gate and arrested the injured person. The occupation authorities also continued violating the rights to education by obstructing education in Al-Aqsa School at the beginning of October (during the Jewish holidays). They also raided Ibn Rushd School in Al-Tur and arrested one student from inside and targeted the village’s houses with wastewater. They also targeted the students in the neighborhood of Ras Al-Amoud and were stationed in the Schools’ Street which often led to the breakout of clashes in the area. All Jerusalemite students were affected by the newly established checkpoints and cement blocks placed in the streets of the city which obstruct their movement and delayed them from reaching their schools. The occupation forces also targeted press crews while monitoring the events in the city of Jerusalem and injured many of them with bruises and wounds. The most prominent injured journalists were Hana’ Mahameed who was injured with a sound grenades her face, Mona Qawasmi who was injured with a live bullet in her hand, Ali Dowani who was injured with a rubber bullet in the chest and Firas Jo’beh who was injured in his jaw. Israeli violations of international law and international humanitarian law in the oPt continued during the reporting period (29 Oct. – 04 Nov. 2015). Israeli forces have continued to flagrantly commit crimes, inflicting civilian casualties. They have also continued to use excessive force against Palestinian civilians participating in peaceful protests in the West Bank and Gaza Strip, the majority of whom were youngsters. Occupied East Jerusalem witnessed similar attacks. During the reporting period, Israeli forces killed 8 Palestinian civilians, including 2 children, in the West Bank; one of whom was killed in occupied Jerusalem. Moreover, 129 Palestinian civilians, including 25 children, 3 journalists and a paramedic, were wounded. In addition, 8 other paramedics suffered tear gas inhalation. Fifty-six of the wounded, including a child, a journalist and a paramedic, sustained shrapnel wounds and 4 others suffered tear gas inhalation in the Gaza Strip, while the remaining others were wounded in the West Bank. Concerning the nature of injury, 87 Palestinian civilians were hit with live ammunition and 41 were hit with rubber-coated metal bullets. On 29 October 2015, Israeli Border Guard officers stationed at the military checkpoint (160), south of Hebron's Old City, shot Mahdi al-Mohtaseb (22) dead under the pretext of a stabbing attempt. On the same day, Israeli soldiers deployed in al-Shuhada Street, in the centre of Hebron's Old City, killed Farouq Seder (19), from Izone neighbourhood, east of Hebron, by opening fire at him from behind. Israeli forces claimed that he attempted to stab a soldier. However, some photos posted by Israeli soldiers on social media showed that there was no knife in the crime scene. On 30 October 2015, Israeli forces stationed at Za'tara checkpoint, south of Nablus, killed Qasem Saba'na (20), from Qabatya village, southeast of Jenin, and seriously wounded another in a stabbing attempt. On the same day, a light rail security officer on Bar Lev Street near Shaikh Jarrah neighbourhood, north of East Jerusalem's Old City, opened fire at Ahmed Qnaibi (23), from Kufor Aqeb neighbourhood, north of the city. As a result, he sustained several bullet wounds from a close range, due to which he was transported to Hadassah Ein Kerem Hospital in West Jerusalem to receive the necessary medical treatment, but he succumbed to his injuries few hours later. Israeli forces claimed that the aforementioned person attempted to stab 2 settlers in the city. On 31 October 2015, Israeli security officers serving the Israeli forces and guarding al-Jalama crossing, northeast of Jenin, killed Mahmoud Nazzal (17), from Qabatya village, southeast of the city, who was running towards the crossing and crying "Allah Akbar". It should be noted that he was not holding any sharp tool with him. On 01 November 2015, Israeli forces deployed at the entrance of Beit Aynoun village, east of Hebron, killed Fadi al-Faroukh (27) while being present in an agricultural land near the main street leading to the said village. It should be noted that there were confrontations between Palestinian civilians and Israeli forces in that area. Israeli forces claimed that the aforementioned person attempted to carry out a stabbing. On 02 November 2015, Israeli forces stationed at al-Jalama crossing, northeast of Jenin, killed Ahmed Abu al-Rob (16) and wounded Mahmoud Kmail (17); both are from Qabatya village, southeast of Jenin. The first was killed when Israeli forces ordered both of them to pull up their clothes, but Abu al-Rob pulled a knife out; therefore, Israeli soldiers opened fire at him and shot him dead and wounded the other, who was then arrested. On 04 November 2015, Israeli infantry deployed at the entrance to Halahoul northern entrance opened fire at a vehicle with a Palestinian registration plate after its driver had run over 2 Israeli police officers. As a result, the driver namely Ibrahim Eskafi (22), from Khellet Hadour, south of Hebron, was killed. During the reporting period, 73 Palestinian civilians, including 24 children, were wounded in the West Bank; one of whom was wounded in occupied East Jerusalem. In peaceful protests against Israeli policies: 52 Palestinian civilians, including 17 children, were wounded. Ninety-three of them were hit with live ammunition and 13 others were hit with rubber-coated metal bullets. In peaceful protests against Israeli incursion: 20 Palestinian civilians, including 7 children, were wounded. Four of them were hit with live ammunition and 16 others were hit with rubber-coated metal bullets. Palestinian civilians wounded in occupied Jerusalem: 28 Palestinian civilians were wounded with rubber-coated metal bullets. In the Gaza Strip, 56 Palestinian civilians, including a child, a journalist and a paramedic, were wounded, while 4 other paramedics suffered tear gas inhalation. Forty-four of whom were hit with live ammunition, 11 others were hit with rubber-coated metal bullets and dozens of civilians suffered tear gas inhalation. North of the Gaza Strip: 6 civilians were wounded; 5 of whom sustained live bullet wounds and the 6th sustained a rubber bullet wound. Gaza City: 17 Palestinian civilians were wounded; 7 of whom sustained live bullet wounds and the 10 others sustained rubber bullet wounds. Central Gaza Strip: 19 Palestinian civilians, including a child, sustained live bullet wounds. Khan Yunis: 14 Palestinian civilians, including a paramedic and a journalist, sustained live bullet wounds. During the reporting period, Israeli forces conducted at least 77 military incursions into Palestinian communities in the West Bank and 14 ones in occupied East Jerusalem. During these incursions, Israeli forces arrested at least 119 Palestinian civilians, including 35 children and a woman. 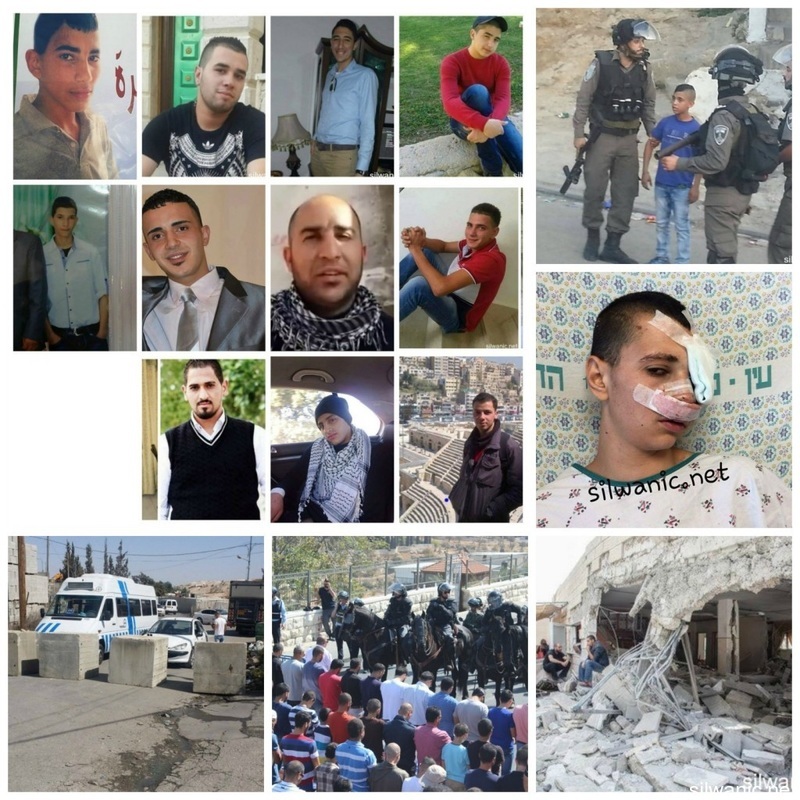 Forty-eight of these civilians, including 14 children, were arrested in East Jerusalem. During the reporting period, Israeli forces raided the offices of Menbar al-Hurriya Radio and Adwar "Roles" for Social Change Association in Hebron and issued a decision to close the aforementioned radio for 6 months. Moreover, they raided houses of a number of families of Palestinians accused of carrying out stabbing and run-over attacks. They also verbally threatened these families to confiscate and demolish their houses within a week. The illegal closure of the Gaza Strip, which has been steadily tightened since June 2007 has had a disastrous impact on the humanitarian and economic situation in the Gaza Strip. The Israeli authorities impose measures to undermine the freedom of trade, including the basic needs for the Gaza Strip population and the agricultural and industrial products to be exported. For 9 consecutive years, Israel has tightened the land and naval closure to isolate the Gaza Strip from the West Bank, including occupied Jerusalem, and other countries around the world. This resulted in grave violations of the economic, social and cultural rights and a deterioration of living conditions for 1.8 million people. The Israeli authorities have established Karm Abu Salem (KeremShaloum) as the sole crossing for imports and exports in order to exercise its control over the Gaza Strip’s economy. They also aim at imposing a complete ban on the Gaza Strip’s exports. The Israeli closure raised the rate of poverty to 38.8%, 21.1% of which suffer from extreme poverty. Moreover, the rate of unemployment increased up to 44%, which reflects the unprecedented economic deterioration in the Gaza Strip. · At approximately 15:00 on Friday, 30 October 2015, a light rail security officer on Bar Lev Street near Shaikh Jarrah neighbourhood, north of East Jerusalem's Old City, opened fire at Ahmed Hamada Yusef Qnaibi (23), from Kufor Aqeb neighbourhood, north of the city. As a result, he sustained several bullet wounds from a close range, due to which he was transported to Hadassah Ein Kerem Hospital in West Jerusalem to receive the necessary medical treatment, but he succumbed to his injuries few hours later. In a statement issued by the Israeli police, Luba Samri, Israeli police spokesperson, claimed that a Jerusalemite young man around (23) years old, from Kufor Aqeb neighbourhood had stabbed two Jewish persons near a light rail in "Givat Hat'hmoshet" settlement. The two Jewish persons' injuries ranged between minor and moderate. The light rail security officer immediately opened fire at the aforementioned person; therefore the officer "neutralized him". The wounded person was transported to a hospital to receive medical treatment, but he was pronounced dead later. · At approximately 04:00 on Thursday, 29 October 2015, Israeli forces raided a house belonging to the family of Tha'er Abu Ghazala in Kufir Aqeb neighbourhood, north of East Jerusalem. The family said to PCHR's fieldworker that Israeli forces had raided their house and damaged the main door in the dawn, but no one was in there. They photographed the house, took its measures and examined the walls according to the family neighbours. It should be noted that Abu Ghazala was killed by Israeli forces in Tel Aviv on 08 October 2015, under the pretext of stabbing a female soldier with a screw. The corpse of Abu Ghazala has been kept in the Israeli custody. Moreover, they arrested his father and then placed him under administrative detention. · On Friday, 30 October 2015, Israeli forces accompanied by Jerusalem Municipality officers raided 3 houses belonging to Abu Jamal family in al-Mukaber Mountain village, southeast of occupied Jerusalem. Abu Jamal family said that the Israeli municipality officers delivered administrative demolition notices for a house belonging to Mohammed Abu Jamal, Alaa's brother, under the pretext of non-licensing. It should be noted that the 110-square-meter house was built in 2001, in which 6 family members, including the father, mother and four children, have been living. Moreover, the municipality officers delivered another administrative demolition notice for a house belonging to the family of Alaa Abu Jamal; the same house against which a confiscation and demolition decision was issued by the Israeli Home Front Command last week. This house was built in 1995. It should be noted that the Israeli forces raided lately a house belonging to Safa' Abu Jamal, Alaa's sister, and made holes in the house walls, took its measures, examined the walls and made holes in them. However, Israeli forces claimed that the house belongs to Alaa and that the first house that was examined to be demolished was not his. Thus, the Israeli authorities have threatened to demolish 3 houses attached to each other belonging to Alaa Abu Jamal's family. Israeli forces killed Alaa Abu Jamal on 13 October 2015 after stabbing and running over Israeli settlers in West Jerusalem. · In the same context, Israeli forces raided a house belonging to the family of Akram Abu Jamal, looking for the family of the wounded prisoner, Belal Abu Ghanem. Abu Ghanem's family was renting Akram's house, but left lately. The municipality officers photographed Akram's house license and then withdrew. · At approximately 07:00 on Monday, 12 November 2015, under the protection of special forces, the Israeli municipality bulldozers demolished a house belonging to the family of Sami Edris in Khellet al-Abed area in al-Mukaber Mountain village, southeast of occupied Jerusalem, without warning, under the pretext of non-licensing. The aforementioned civilian said to PCHR's fieldworker that Israeli special forces accompanied by Israeli municipality officers and bulldozers raided a house in Khellet al-Abed in al-Mukaber Mountain to demolish it without warning. He added that Israeli forces allowed him to take out his personal papers, money and light belongings only. They also obliged him to leave the house in minutes and kept his family few meters away from him. The municipality officers then randomly emptied the house content. After which, a bulldozer demolished the 80-square-meter house that used to shelter a 7-member family, including 4 children. It should be noted that Edris started building his house 3 months ago and moved in with his family for 15 days only. The building costs were around NIS 100,000. Edris pointed that the Israeli municipality had fixed an administrative demolition notice twice in the past 2 months; therefore, he attempted to obtain a construction license, but could not because of the Israeli restrictions in this regard. · A few hours later, Israeli forces accompanied by municipality officers and a bulldozer moved into Beit Hanina neighbourhood, north of East Jerusalem, and demolished a 3-storey building belonging to lawyer Khaldoun Nejem and Mousa and Mahmoud al-Dosoky. The affected families said that the building, which was residential, was added to an old building a year ago and they had moved in last April. After the Israeli municipality had issued a demolition decision, the families could adjourn the decision until they reached a settlement with the municipality, one day before the demolition, to turn the demolition decision into an indictment and construction fines. However, the families were surprised that on the abovementioned day Israeli forces moved into the area and demolished the building. Lawyer Khaldoun Nejem said that the 3-storey building (each floor is a 120-square-meter apartment) was resided by 3 families as follows: Khaldoun's family, including his wife and 2 children; Mousa al-Dosoky, his wife and daughter; and Khaldoun's brother namely Mahmoud who was preparing his apartment to move in soon. The families declared that the building was demolished with its contents inside. · On Tuesday, 03 November 2015, Israeli municipality officers fixed administrative demolition notices on the walls of al-Qa'qa' Mosque and a commercial facility in Hosh Abu Tayeh in silwan village, south of East Jerusalem's Old City, under the pretext of non-licensing. Hani Abu Tayeh, who is responsible for the mosque's affairs, said that Israeli municipality officers fixed an administrative demolition notice on the wall of al-Qa'qa' Mosque in Hosh Abu Tayeh in Ein al-Louza neighborhood that is located in Silwan village, under the pretext of non-licensing. Moreover, they fixed a similar one on a carwash in Beer Ayoub neighborhood, in the city. They photographed some commercial facilities, residential buildings, entrances to certain neighbourhoods and streets. He added that the 120-square-meter mosque was built 3 years ago. it should be noted that the decision was issued on 20 August 2015 and gave a 90-day period for challenging the decision, otherwise, it would be applied. The demolition decision is based on "Law 212", which is utilized by the Israeli municipality and General Prosecution to implement demolition decisions. The same law allows the General Prosecution to issue demolition decisions against non-licensed buildings even if the person/s were unknown. On 29 October 2015, Israeli forces issued a military order to confiscate 5 dunums of lands in Yasouf village, east of Salfit, belonging to the heirs of Ghaleb Abdullah Deeb. On 03 November 2015, Israeli forces moved into al-Shaikh Bashir area, southeast of Jaloud village, southeast of Nablus. They handed residents of the area, in which 10 families reside, notices to vacate their houses in 15 days to be demolished because they about 300 meters away from "Ahya" settlement that was established in 1997. It should be noted that the targeted houses are located in area (C) according to the Oslo accords. Some of these houses were built in 1975 and their owners have construction licenses from the Israeli forces. The families affected by this decision consist of 38 persons, including 20 children. On Sunday, 01 November 2015, Alaa' Hassan Ibrahim al-Khateeb (25), from Jayous village, northeast of Qalqilya, was run over by a settler on the main road between Qalqila and Nablus, near Azoun intersection, east of Qalqilya. As a result, he sustained fractures to the arm and a cut in the head. PCHR emphasizes the international community’s position that the Gaza Strip and the West Bank, including East Jerusalem, are still under Israeli occupation, in spite of Israeli military redeployment outside the Gaza Strip in 2005. PCHR further confirms that Israeli forces continued to impose collective punishment measures on the Gaza Strip, which have escalated since the 2006 Palestinian parliamentary elections, in which Hamas won the majority of seats of the Palestinian Legislative Council. PCHR stresses that there is international recognition of Israel’s obligation to respect international human rights instruments and the international humanitarian law, especially the Hague Regulations concerning the Laws and Customs of War on Land and the Geneva Conventions. Israel is bound to apply the international human rights law and the law of war sometime reciprocally and other times in parallel in a way that achieves the best protection for civilians and remedy for victims.